The early settlers of Edenton played an important role in the formation of the Colony that became known as North Carolina; in its development; and maybe more importantly, in defining the motivations for the revolution against the Crown that led to Independence and the birth of the United States. Edentonians also helped shape the first US Supreme Court; gave women their first role in political affairs; established basic principles of judicial theory that are still in force today; and made Edenton the significant historical town that it is today. Penelope Barker – When you explore our town or our web site, you’ll learn how Penelope Barker organized the tea party that became the first political action taken by women in the colonies, as well as the western world. It caused such a ruckus that cartoonists in England had a field day making fun of the idea that women should even express ideas about freedom! (There is a satirical print depicting this “outrageous” idea in the Barker House in Edenton.) The Barker House is open to visitors from 10 am until 4 pm daily. It also serves as the home of the Edenton Historical Commission. Joseph Hewes, signed the Declaration of Independence. His little recognized contribution to our country may have been his participation in the creation of the US Navy. He also served as the first Secretary of the Navy. Hugh Williamson of Edenton attended the constitutional convention in Philadelphia and signed the proposed United States Constitution. James Iredell Jr. (1788-1853) was born in Edenton to parents of the highest social and political standing. 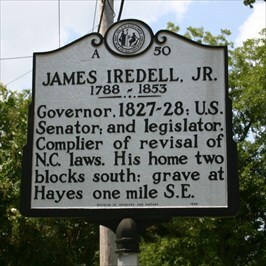 His father, James Iredell Sr., was a prominent Federalist leader and associate justice of the United States Supreme Court. 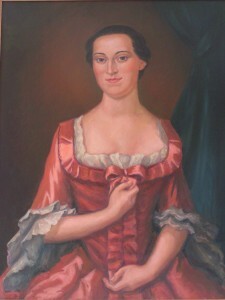 His mother, the former Hannah Johnston, was the sister of Governor Samuel Johnston of Edenton and niece of royal governor Gabriel Johnston. Iredell received his early education at Edenton Academy and graduated in 1806 from the College of New Jersey (now Princeton University). During the War of 1812 he commanded a company of volunteers in the defense of Norfolk and in 1815 he was commissioned a brigadier general in the North Carolina militia. After service in the State House including a term as speaker, in 1827 he was elected governor by his fellow assemblymen. Less than a year later resigned to fill the U.S. Senate seat vacated by Nathaniel Macon. Samuel Johnston (1733-1816), prominent voice for the Patriot cause, lived at Hayes, the family estate at Edenton. Born on December 15, 1733 in Dundee, Scotland, he emigrated with his family to Onslow County at the invitation of their kinsman, Royal Governor Gabriel Johnston. Johnston attended Yale College, but left prior to graduation. Returning to North Carolina, he established his residence in Edenton in 1753 and pursued the study of law. In 1759 he was elected to the colonial assembly, where he would serve as a representative until the eve of the American Revolution. In 1780 he entered national politics as a delegate to the Continental Congress. In July 1781 he was nominated for the presidency of that body, but declined in order to return to North Carolina. Johnston won wide respect for his character, wisdom, and dedication to principle, even from his political opponents. When North Carolina’s first constitutional convention met in Hillsborough in 1788, Johnston was elected president. He again served as president the next year at Fayetteville, when the delegates voted in favor of ratification. On December 12, 1787, Johnston was elected to his first term as governor. Although twice reelected, he served just over two full terms. His third term ended after less than two weeks, when he resigned to accept election to the U.S. Senate. As governor, Johnston campaigned successfully for ratification of the Federal Constitution, promoted national interests, and exercised restraint with regard to fiscal affairs. Returning to North Carolina, Johnston retired for a while from public life. 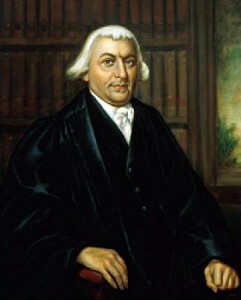 He returned to the state legislature and, from 1800-1803, sat as a superior court judge. At the age of seventy, he retired permanently from public life. He died thirteen years later, on August 17, 1816, and was buried in the cemetery at Hayes. Hugh Williamson of Edenton (born in Pennsylvania in 1735) had many professions throughout his career including lending and investments, real estate and land speculation, doctor, merchant math professor and author. Served in the State Upper House of North Carolina 1782-1785, Confederation Congress 1782-1785 & 1787-1789, Elected to Annapolis Convention 1786, Surgeon General of North Carolina 1779-1782. His most important role at the Convention was his guidance of North Carolina to support the Connecticut Compromise. William Pierce stated that “Mr. Williamson is a Gentleman of education and talents.” He supported the ratification of the Constitution and attended the Second Ratification Convention of North Carolina 1789. He also served two terms as a U. S. Representative for North Carolina (1789 – 1793).